DOROTHY MORT, CRIMINAL RECORD NUMBER 773LB, 16 OCTOBER 1929. Mrs Dorothy Mort was having an affair with dashing young doctor Claude Tozer. On 21 December 1920 Tozer visited her home with the intention of breaking off the relationship. Mort shot him dead before attempting to commit suicide. Aged 32. She was released from gaol shortly after this photograph was taken and disappeared from the public eye. Part of an archive of forensic photography created by the NSW Police between 1912 and 1964. Visit more images online. 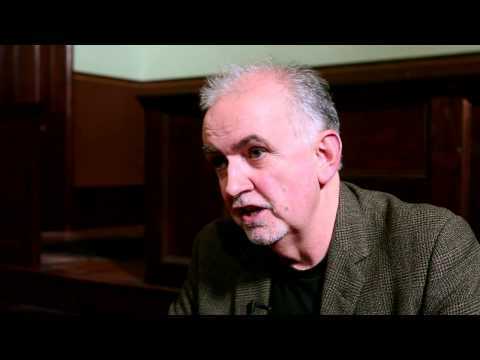 Guest Curator and author Peter Doyle, talks through some of the stories behind faces in the City of Shadows. In this interview we look at how a couple of cross dressing criminals took advantage of visit servicemen in Sydney. Visit more of the characters from the NSW Police Forensic Archive on our new website today. Detective squatting on road and pointing between tram tracks. Late 1930s, details unknown. Holly Schulte, Curator Digital Assets at Sydney Living Museums takes a look into the City of Shadows. 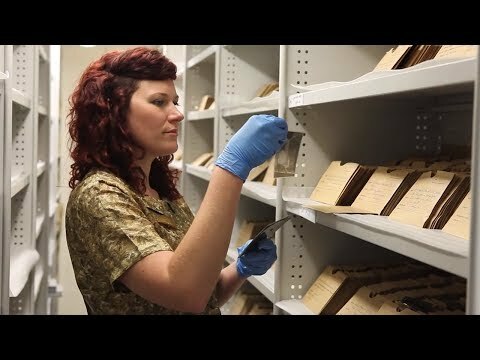 Explaining, in this clip, how Sydney Living Museums came about the archive and how we are able to process and print the glass plate negatives found at Justice and Police Museum. No information about E. Walker has been found. She may have been a vagrant: her clothes are dirty, she wears what appear to be army boots and her head has been shaved to eradicate head lice. Part of an archive of forensic photography created by the NSW Police between 1912 and 1964. Henry Pierce was arrested in the same raid as Patsy Neill. Police said that Pierce acted as offsider and bodyguard to cocaine seller Marie Elliott. Pierce, from Balmain in Sydney, had prior form for safe breaking and wife desertion. His occupation was listed as masseur, and police records noted that he sometimes worked with theatrical companies. Pierce claimed that the arresting police had hit him in the face and broken his nose. Bucket, turpentine bottle and funnel; presumably a Crown exhibit in the trial of the ‘IWW Twelve’, Sydney, 1919. From a negative found in a box marked ‘IWW Dope’. The International Workers of the World, or ‘Wobblies’, carried out a program of direct action (which included sabotage and incendiarism) in Sydney in 1916, agitating for the release of their leader, Tom Barker. Barker had been jailed for sedition after making an anti-war speech in the Sydney Domain. ‘Dope’ refers to incendiary materials, such as cotton waste, turpentine, phosphorous and kerosene, allededly found during police raids on IWW headquarters in Sussex Street and in the rooms of various IWW members. Although the police evidence was considered slim, the ‘IWW Twelve’, were convicted of conspiracy and sedition, and all received long jail sentences. A royal commission in 1920 overturned the convictions. Detective Arthur Surridge, whose name can be read on the label here, led the police action. This series of photographs is among the earliest forensic object/exhibit photographs yet found in the NSW Police photograph archive. See also ‘Playing cards, two of diamonds, two of spades and two of clubs laid out on dark background, presumably a police exhibit presented in the trial of the ‘IWW Twelve’, Sydney, 1919.’ in this collection. The sombre ambience of a homicide scene. Street scene, Liverpool Street, Darlinghurst, near corner of Riley Street, looking east, around 1938. Details unknown. Detectives can be seen outside one of the terrace houses on the left of the picture in the Riley to Crown Street block. Details unknown but the entire series of which this photo is a part has the pronounced sombre ambience of a homicide scene. Special Photograph no. 17A. An entry in the Supplement to the NSW Police Gazette Sydney for Skukerman, (alias Kukarman, alias Cecil Landan) is captioned ‘obtains goods from warehousemen by falsely representing that he is in business’.